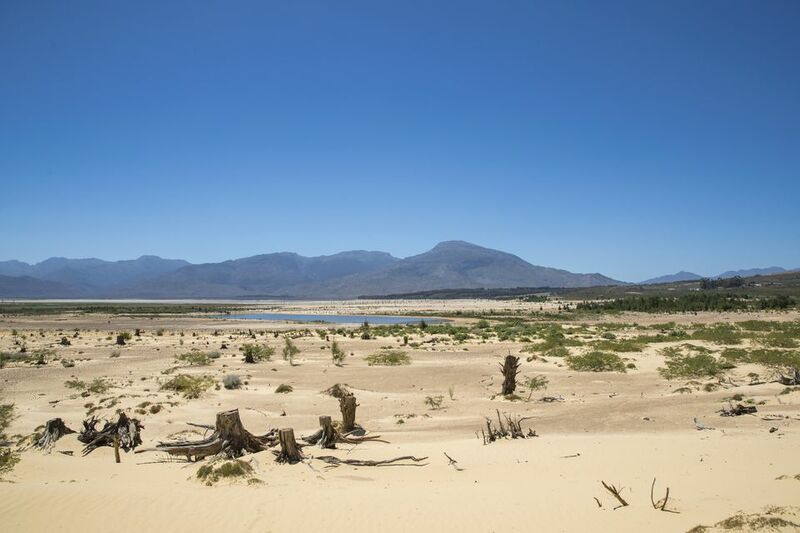 Historically, Cape Town copes with periods of drought through careful water management, which helps it to survive until its dams are refilled by better rains the next year. In 2017, Cape Town experienced its third consecutive year of drought, leading to the worst water shortage in 100 years. Here's a look at how the Cape Town Water Crisis came about and how it affected residents and visitors alike. The water crisis started in 2015, when the levels in Cape Town’s six major dams fell from 71.9% to 50.1% as a result of failed rains. 2016 was another particularly dry year, with drought conditions experienced in provinces all over South Africa. While other areas of the country were granted relief by heavy rains in the winter of 2016, Cape Town’s water levels continued to fall to just 31.2%. By May 2017, that figure had reached 21.2%. In June 2017, residents hoped that the drought might be broken by the Cape Storm, which saw extreme flooding in some areas of the city. Despite the storm's severity, the drought continued and in September, Level 5 water restrictions were introduced across the municipality—reducing personal water consumption to 87 liters per day. One month later, experts estimated that the city had just five months left before water levels were entirely depleted. Day Zero was classified by Patricia de Lille, the Cape Town Mayor at the time, as the day that dam storage reached 13.5%. If it happened, the majority of taps across the city would be turned off and residents would be forced to queue at water collection sites to receive a daily allocation of just 25 liters per person. The predicted date of Day Zero changed several times during the crisis and remained a threat into 2018. Experts believe that the crisis was initially triggered by the 2014-2016 El Niño. This weather phenomenon causes a rise in ocean temperatures across the equatorial Pacific and affects weather patterns all over the globe. In Southern Africa, it results in a dramatic decrease in precipitation. Rainfall in South Africa between January and December 2015 was the lowest on record since 1904, most likely due to El Niño. The effects of El Niño were compounded by increased temperatures and reduced rainfall across South Africa as a result of climate change. In Cape Town, climate change has altered precipitation patterns in the city’s catchment areas, with rainfall coming later, more sporadically or sometimes failing to occur at all. Worse still, less-than-average rainfall years are now occurring more frequently, giving the city’s water supplies less of a chance to recover from periods of drought. Cape Town’s rapidly expanding population is also part of the problem. Between 1995 and 2018, the city's population increased by 55%, while water storage increased by only 15%. The city’s unique political situation has also been problematic. The Western Cape province—of which Cape Town is the capital—is governed by the Democratic Alliance (DA), South Africa’s opposition party. Conflict between the DA and the ruling national party, the ANC, hindered attempts by the municipal and provincial governments to pre-empt the water crisis. In 2015, the national government rejected a provincial request for R35 million, which would have been used to increase water supplies by drilling new boreholes and recycling water. Later appeals by the Cape Town Mayor for disaster relief funding were also rejected. According to local news sources, mismanagement, debt and corruption within the national Department of Water and Sanitation were also to blame. For resident Capetonians, Level 6 water restrictions meant a ban on irrigation, watering, filling private swimming pools and washing vehicles with municipal drinking water. Personal water consumption was limited to 87 liters per day and households that used more than 10,500 liters of water per month were liable for fines of up to R10,000. The agricultural sector was expected to reduce water consumption by 60%. Visitors were affected by the restriction’s stipulation that commercial properties (including hotels) reduce usage by 45%. For many establishments, this meant introducing water-saving measures such as banning baths, fitting showers with devices that reduced water flow and changing linens only when necessary. Many luxury hotels closed their steam rooms and hot tubs, while most hotel swimming pools were emptied. In addition, visitors found that bottled water was increasingly hard to come by and food prices rose as a result of reduced agricultural production. Effective water restrictions and a good 2018 rainy season have combined to bring an end to the Cape Town water crisis for now. In June 2018, Deputy Mayor Ian Neilson announced that if "adequate water restrictions are maintained, the City is confident that there will be no prospect of reaching Day Zero in 2019". On December 20th 2018, dam levels were back to a healthy 67.7% and water restrictions had been downgraded from Level 6 to Level 3. However, many of the issues that caused the 2017 crisis still exist and Cape Town remains a water-scarce region. Locals need to be careful with their water consumption and visitors should be too. The tourism board’s Save Like a Local campaign gives a full list of ways that you can help, while this calculator is useful for making sure you stay within your 105-liter-per-day allowance. Top tips include limiting shower time, turning off the tap whilst brushing your teeth and re-using hotel towels.